It is always a delight to discover the garden of someone else who has to face the same challenges of climate and terrain as we have to overcome in our own gardens. Here is a ‘taster’ selection of gardens created by members of the MGS around the world. Also here are some gardens which have been created or restored by MGS Branches and continue to be maintained by them. The photo at the top of this page shows Sparoza, the garden for all MGS members. MGS President Caroline Davies’ townhouse in Melbourne has two small courtyards teeming with pots, containing everything from a Wollemi Pine and dianellas to shrubby begonias, hellebores and Vireya rhododendrons. Every plant is mulched with gravel so as not to require extensive watering. 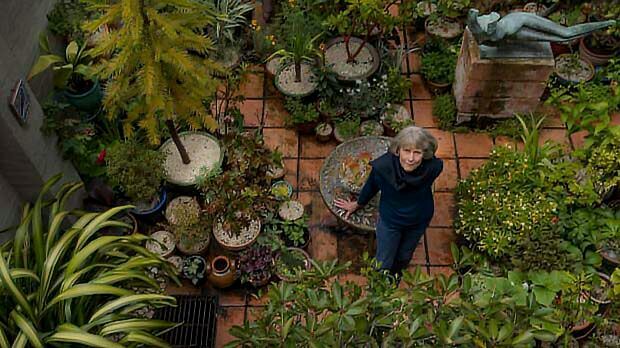 Read an interview with Caroline in the Sydney Morning Herald where she explains the importance of "choosing the right plants for where you live and not using excessive water" and the role of the MGS in promoting these practices. Olivier Filippi is a nurseryman specialising in plants that are adapted to particularly difficult conditions: prolonged summer drought, strong winds, sudden cold and poor soil. 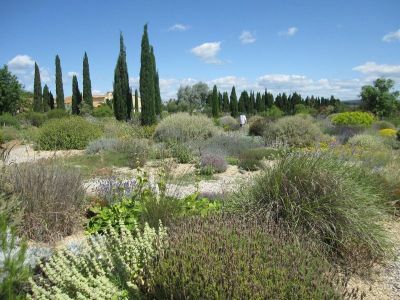 His experimental garden is in the south of France between Montpellier and Béziers, inspired by the local ‘garrigue’ landscape. Through a long process of prospecting during botanical trips to mediterranean climate regions he has brought together the collection of dry garden plants grown here. 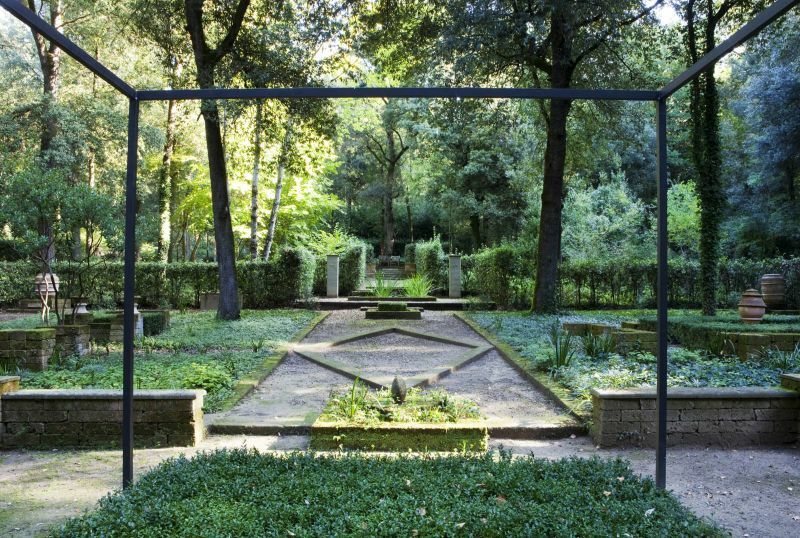 The Bosco della Ragnaia is a woodland park and garden created by the American artist Sheppard Craige. Under high oaks you can find many inscriptions that accumulate moss waiting to be noticed by a visitor. The Bosco does not offer an unambiguous sense, but is, on the contrary, open to all interpretations. Sheppard speaks of a remote epoch when the wood was ruled by Sages. He repeats the sonorous question with which the sages concluded their songs: If Not Here, Where? The gardens are open to visitors every day. This unique garden, Torre d’Ariant, was created by the MGS’s second President Heidi Gildemeister, hidden in the highest part of the Serra de Tramuntana mountains. 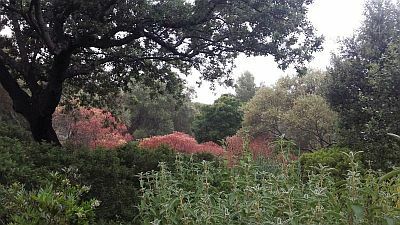 It contains thousands of drought-tolerant plants, brought by Heidi from all over the world, which now thrive here naturally. Heidi described the creation of her garden in the very first issue of TMG in 1995 and the article is reproduced in TMG 94 of October 2018. She has gifted the entire estate to the FSVM, the Majorcan Foundation established to protect the European Black Vulture, which now maintains the garden. 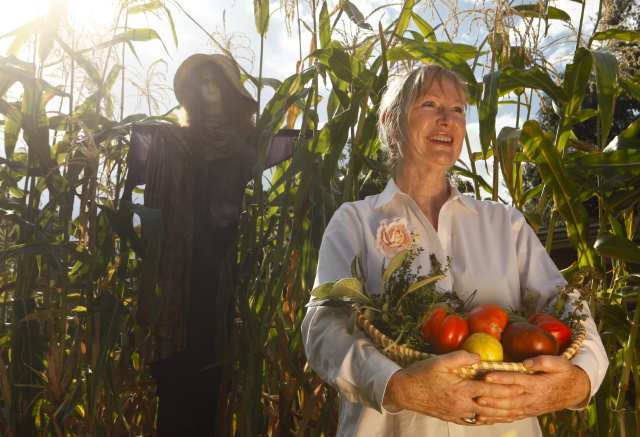 Virginia Paca maintains a large organic vegetable garden in Pasadena and regularly delivers fresh vegetables to the Friends-in-Deed food pantry. 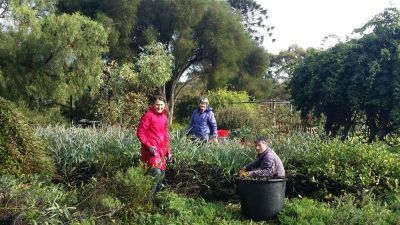 The giving garden project encourages people to grow organic vegetable gardens and share the bounty of their harvest with others. Watch a video of Virgina talking about her project and read about her project in an interview with the LA Times. 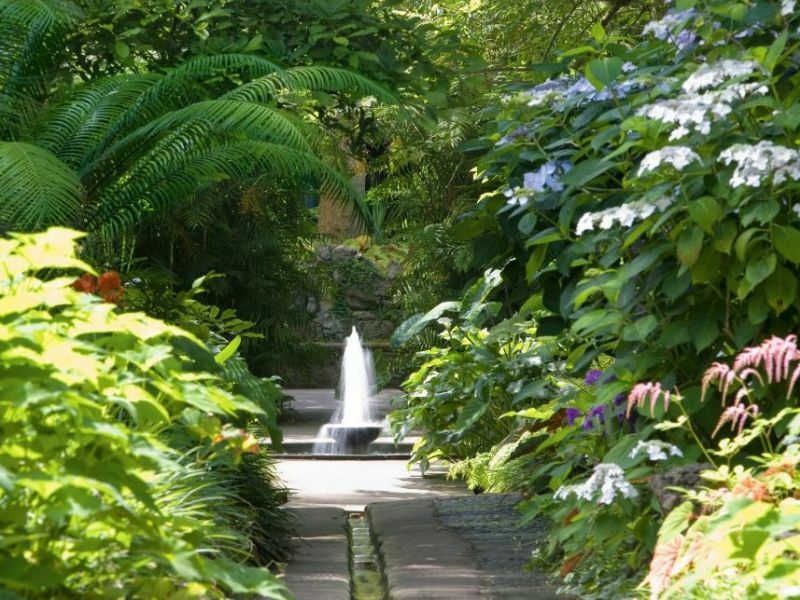 La Mortella is the splendid mediterranean and subtropical garden created from 1958 by Lady Susana Walton, the wife of Argentine origin of the English composer Sir William Walton. President of the Foundation William Walton and director of the garden is MGS member Alessandra Vinciguerra, who has been working in La Mortella since 2000. She was the right-hand of Lady Walton, and helped her to create the upper garden, so was the natural successor to Lady Walton after her decease in 2010. 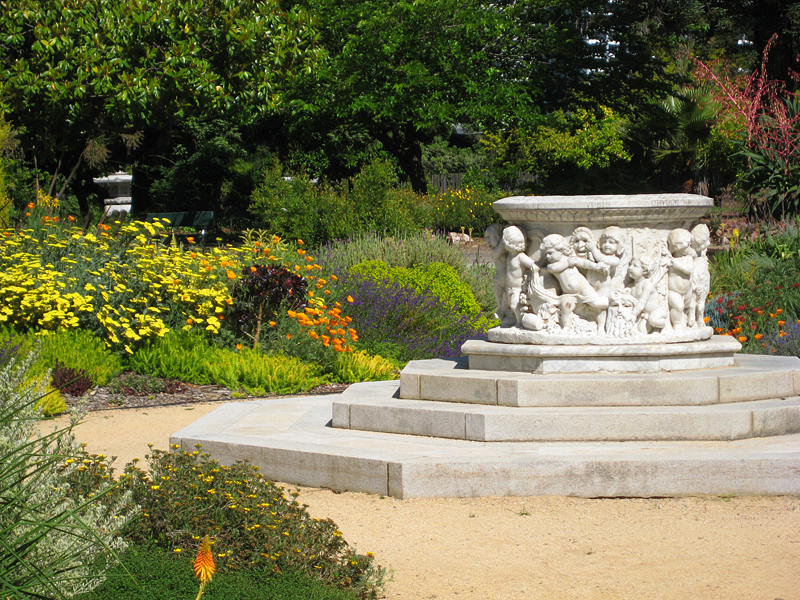 The Mediterranean Garden at Lake Merritt in Oakland, in the collection of specialty gardens that surround the Oakland-East Bay Garden Center, was created by the MGS Northern California Branch. It is centred around a classical white marble well-head that was a gift to the City of Oakland from philanthropist and bird-lover Nettie Stone Easterbrook 100 years ago. A small, dedicated group of volunteers from the Branch helps maintain this charming space. The Troodos Botanical ‘AG Leventis’ was created by the Cyprus Forestry Department on the site of an abandoned asbestos mine. The Cyprus Branch of the MGS has been involved with the project from its initiation in 2005 and have provided many of the plants that feature in areas of the garden. The Branch periodically visits the garden and continues to collaborate with the Forester Custodian of the Garden in experimental trials of Cyprus endemic species grown from seed. Here are some of the plants that have been used in the reforestation project. The South Australian Mediterranean Garden Society is responsible for the Garden of Discovery which forms part of the Waite historic precinct, owned by the University of Adelaide. They undertook a major refurbishment of the garden in 2009, donating many plants and committing to help maintain the garden through regular working bees when they plant, weed and prune the Australian natives which feature in this garden. 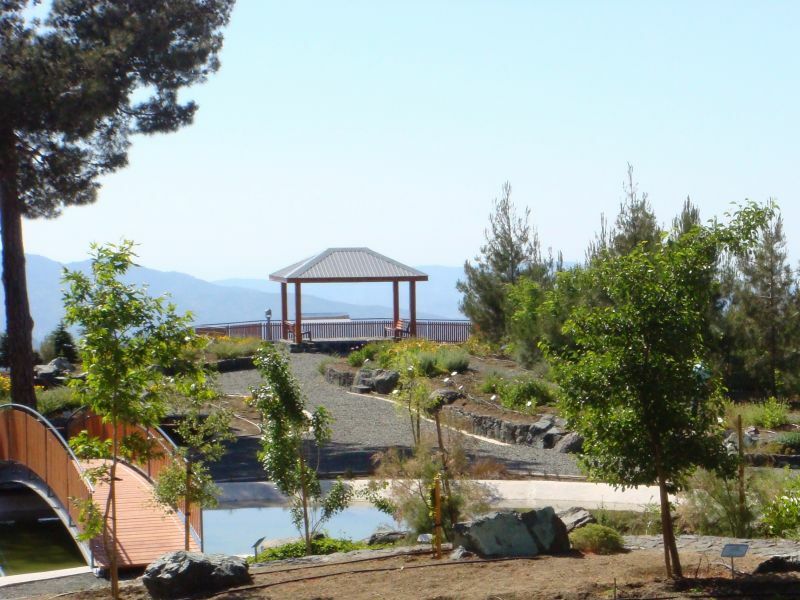 The Garden of Discovery references the history of pastoralist Peter Waite and the scientific discoveries achieved on the Waite campus.